The thyroid gland in cats is located on both sides of the trachea (windpipe) in the neck area. Some species of animals have an isthmus (bridge) connecting the left and right thyroid glands. Before you can understand thyroid excess you have to have an idea of what the thyroid gland does in the first place. The thyroid gland secretes thyroid hormone which is one of the body’s most important hormones that controls multiple body functions. Hormones are chemical compounds that are secreted by glandular tissues in the body. Even when produced in small amounts their effects are massive! Another example of a hormone is insulin. It is secreted by the beta cells of the pancreas; another glandular organ. Thyroid hormoneThyroid hormone is composed of thyroid cells and molecules of iodine. The function of the gland is to concentrate iodine molecules, which are found in the diet, to make 2 types of thyroid hormone: T4 (four molecules of iodine) and T3 (three molecules of iodine). In most mammals T4 is converted to T3 which is the active hormone. helps maintain: our metabolic rate, respiratory and cardiac rate, sense of well being and facilitates the functioning of multiple organ systems working together. As cats age thyroid excess becomes more of a problem. The most common cause of thyroid excess is a thyroid adenoma. This is a type of tumor found in glandular organs. Glandular organs make up the body’s endocrine system. In human medicine there are physicians known as endocrinologists that specialize in those particular diseases such as diabetes mellitus. WHAT SHOULD I LOOK FOR IN MY CAT? One of the characteristics of most cats is that they can look and act completely normal but are extremely ill. Cats are survivors and have an ultra strong constitution so it may be difficult to notice things going wrong when the animal is acting normal. I have had cats on my exam room table with a 106 degree temperature and were acting completely normal. This causes veterinarians distress also. We know that a cat has a limit to what they can handle when things go wrong internally. They reach a point and fall off a cliff. IMPORTANT CAT TIP: Most people refuse to take their cat’s rectal temperature with a thermometer. I do not blame them. Hold a cat’s ear between your thumb and index finger. Get used to this when the cat is healthy. When the cat is running a fever you will notice how HOT the ears are. Most cats with thyroid excess are ten years of age and older. With thyroid excess the body goes into overdrive. Everything works harder and faster. The result are the numerous clinical signs. 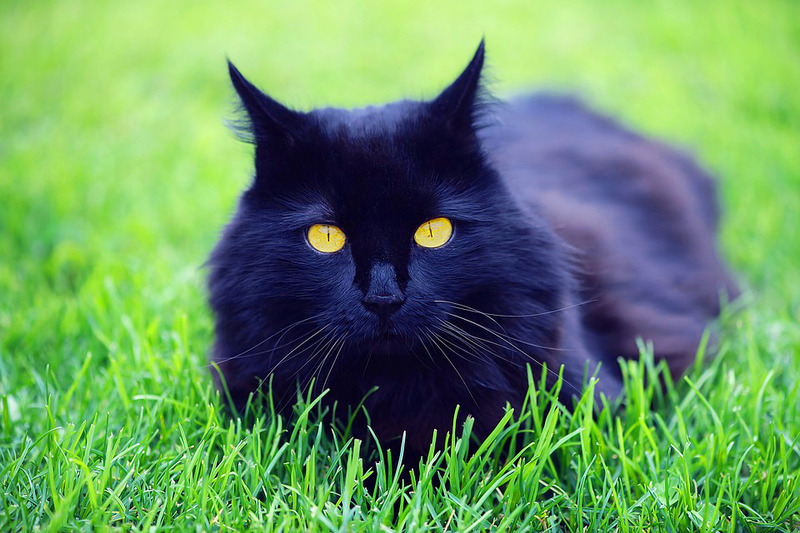 For some reason that I can’t explain, the majority of cats that I have diagnosed over the years have been black cats. A genetic link? Who knows. Most people first notice a sudden loss of weight followed by an increase in thirst. This water has to go somewhere and it does. Cats will literally flood their litter boxes with urine. If you have a multi-cat household this can be somewhat difficult to figure out. Take the cat that has lost weight and put it into a spare bathroom with a bed, food and water bowl plus a litter box. This will tell you which cat is urinating in excess in 2 seconds. If you notice any of those above mentioned signs it is critical that the animal get seen by a veterinarian. Many other diseases cause an increased thirst in dogs and cats. The veterinarian will be easily able to differentiate all of them to come up with a working diagnosis of thyroid excess. As the condition progresses the animal can become irritable plus stops eating and drinking. This causes an even more rapid loss of weight and eventual dehydration. I have treated advanced cases of thyroid excess in these cats and most do remarkably well! The point is, never give up on a cat! Veterinary offices will often ask you to take a urine sample to the office for a urinalysis. Don’t panic!! Get yourself a box of Kit4Cat® cat litter from Amazon. It is a hydrophobic (repels water) litter that will hold urine on the surface of the litter. A dropper is then used to get the urine into a clean container. 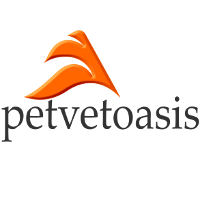 If you can’t get a sample all veterinarians can get a sample by cystocentesisThis is an easy, painless procedure to collect urine from dogs and cats. With the animal wide awake on its back a needle attached to a syringe barrel is passed into the abdomen. Ultrasound is then used to guide the needle into the cavity of the bladder. Urine is then sucked up into the syringe barrel for examination.. Your veterinarian may also find that your cat has a heart murmur. This is a secondary heart condition (hypertrophic cardiomyopathy) that is seen in cats with thyroid excess. In advanced cases signs of congestive heart failure are seen but with rapid diagnosis and treatment most cats do well. WHAT CAN BE DONE FOR MY CAT? Thyroid excess (hyperthyroidism) began to be diagnosed in the early 1990’s. It is a relatively new disease when compared to Feline Leukemia which was diagnosed in cats in the 1970’s. Veterinarians will perform numerous tests to rule out other diseases that cause similar symptoms plus specific tests to assess the degree of thyroid excess. Those tests are the FT4 (Free thyroid hormone not bound by calcium) and T4 assays. Cats always try to fool veterinarians. There are times thyroid tests come back normal but the cat obviously has the disease. The important take away point is to retest those cats every 2-4 months. Sooner or later the thyroid levels will jump. Tapazole® (methimazole)- This is a very common treatment. Most cats are started on a therapeutic dose then thyroid levels are rechecked in 3-4 weeks. The dose may be adjusted to reach an acceptable level of circulating thyroid hormone. This treatment works but over time it can be expensive and it has to be administered orally. Cats can be devious. Cats hate to be pilled. You were sure you put the pill over the back part of the tongue. The cat sits there looking at you. You walk away. The cat then crawls under the sofa and spits out the pill. Doesn’t do any good if it is not in the cat! There is a compounded paste version of the drug that is applied to the cat’s ear. Be sure you always wear gloves if you go with this approach. Drug therapy is lifelong. Surgical Excision- Both thyroid glands can be surgically excised. There is one major problem with this approach. Mixed in with the thyroid tissue is the parathyroid gland that controls calcium levels. In many species it is well differentiated and can easily be left behind after the thyroid gland is excised. Not the cat! Radioactive Iodine- This technique is becoming more common by the day. In South Florida there are numerous special facilities that have opened up to treat this disease in cats. Since we are talking about radioactive iodine these facilities are under strict government regulation. For the animal it is extremely safe. A one time injection is given subcutaneously and the animal’s thyroid levels descend to normal within 2-3 weeks. No pills, no angry cats! The initial cost is higher than methimazole but about par when you factor in years of oral therapy.